The human body is not just flesh, blood and bones: The human body as we see is not just flesh, blood, and bones. It consists of emotions, feelings, and senses along with the flesh and bones. The emotions run in the body along with the circulation of blood but may malfunction one way or the other causing ailment and sickness. Medical science has made a lot of advancement and gone par our imagination but still, there are some diseases and disorders that are incurable. Similarly, there is a disorder that people remain restless in their sleep, but can you ever imagine anyone who has not slept for a long time? A Saudi Citizen who hasn’t slept in last 30 years: This will shock you when you will know there is a man who has not slept for 30 years and is waiting for his sleep who once left his eyes and never returned back. This unique and weird story is of a Saudi citizen who has not slept for 30 years. This story was highlighted when the crew of Al-Mirqab channel was shooting for their Al-Mirqab program in Al-Baha with the approval and benefaction of the region Prince Hossam bin Saud where they went through a very strange case. 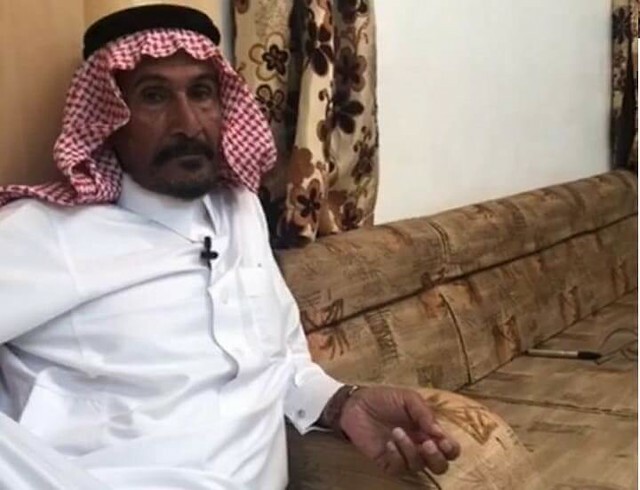 He is incurable: One of the crews of the Al Mirqab program Mohammed Al-Ghamdi told that he received a case of a Saudi citizen in his seventies resides Al-Baha region was unable to sleep for thirty years. People were unable to believe this situation and took it as a lie or just a tale but this is the fact reality that this man has not slept for 30 years. This man himself is a lot puzzled and the doctors are unable to find any cure for his situation. Everyone believes that this citizen can sleep like natural people. How did it all begin? Al-Ghamdi said the man is in search of his sleep and remained hopeless. This all happened when this man was on a military mission for twenty days where he did not lie down or sleep for twenty days. After returning back from his twenty days’ mission he visited the doctor to find out his condition and receive necessary treatment but alas, fail to find any hospital or doctor who could finally diagnose his condition and could give him an appropriate treatment he was searching for. What is the reason? The distressed man said, he spent several years like this and hesitate to visit the hospital without any result. He formed a medical committee based in four countries who could study his case and find out the exact reason for his condition to make him sleep. At last the committee decided that there is no cure to this condition and the main problem is depression that won’t let me sleep and they only gave me tranquilizers which also did not help me to make me sleep, he said. He has only one request: At last, the man went hopeless and said he did not want any wreckage of the world to guide him to a place for his treatment to lead a normal life. Al Ghamdi said the man made an only request to the region’s Emir and that was he wanted a family car to transport his family. On this condition the supervisor of the program contacted directly to the Emir of the Emir to make a request on behalf of this citizen. Prince Hossam generosity and goodness continues, he met the citizen in his office, who explained to him the condition and he promised him to meet all his demands and will also provide him with a family car.